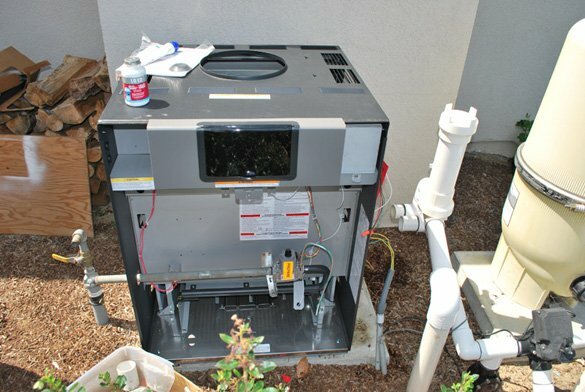 A San Diego homeowner in the Rancho Santa Fe area called us to replace their swimming pool heater. 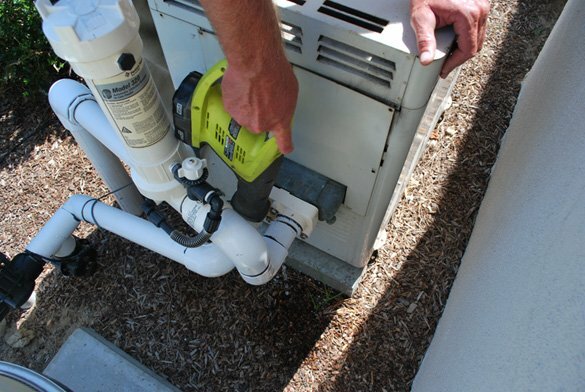 The pool heater was not working and had been repaired on several occasions in the past. A pool party was planned so they wanted to make sure that the swimming pool would heat up to the right temperature. 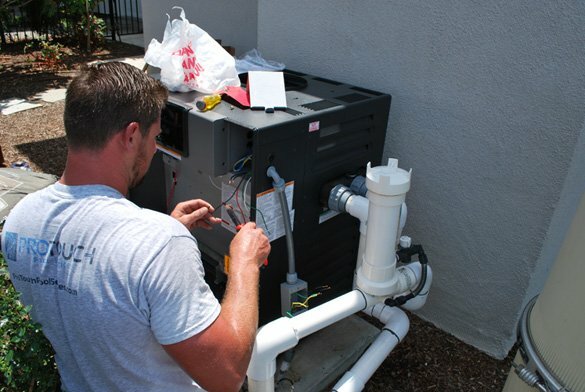 Therefore they wanted a new pool heater installed rather than have the current heater repaired. 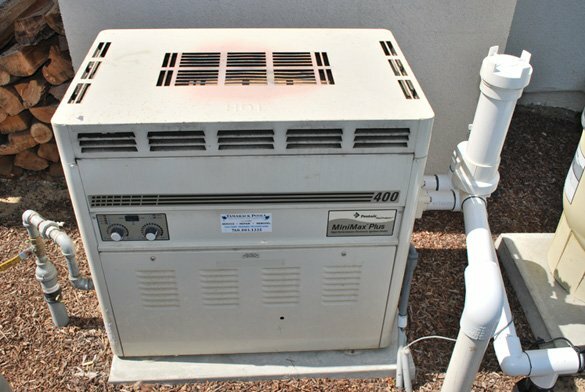 We gave an estimate to install a new Raypak 406A residential pool heater. 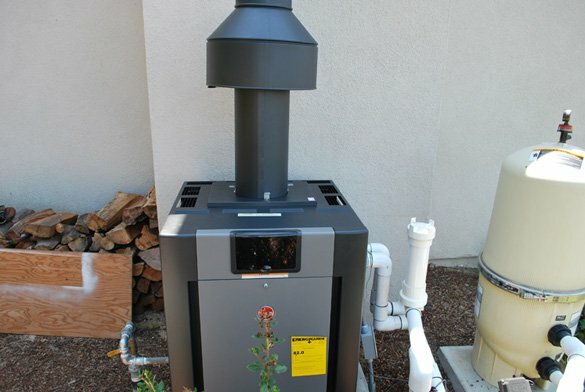 The home was in an area which experiences wind so we also installed an outdoor vent stack on the heater. 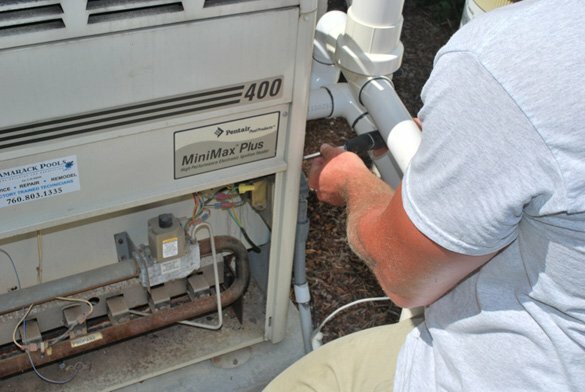 We removed the Pentair minimax plus 400 pool heater which was no longer working. Once the heater was taken out we installed the Raypak 406A pool heater on the cement pool equipment slab. The home has propane so we made sure the heater was propane as well. The draft hood will help the atmospheric heater exhaust properly and extend the life of the heater. The polymer headers with factory unions aided with the quick heater installation. The heater was installed and heating the pool the same day ensuring a great pool party.